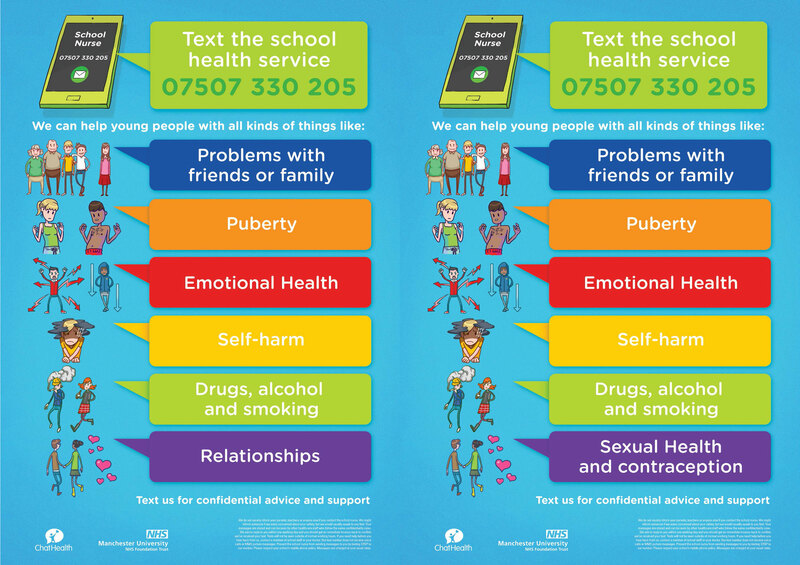 ChatHealth is a safe and secure way for young people aged 11-16 to get advice and support about health related issues, directly from the school nurse. As part of the Big Health Challenge, in conjunction with Healthy Schools, Whalley Range 11-18 High School is working hard to help promote this new service for young people. Assemblies were delivered to each House group and students were given a business card with all the information they needed about how to use ChatHealth. This is a secure, confidential and safe way of access and receive information and help. We hope that it helps a lot of young people in the future. This new initiative is available now and is easy to use via an SMS text messaging service. Please take a look at the poster for more information.